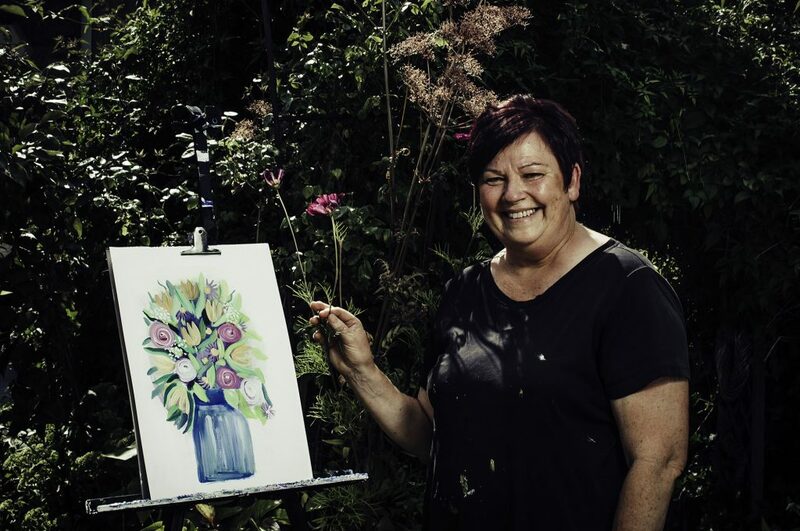 Using acrylic paint to create vibrant floral paintings with colour, depth and texture. 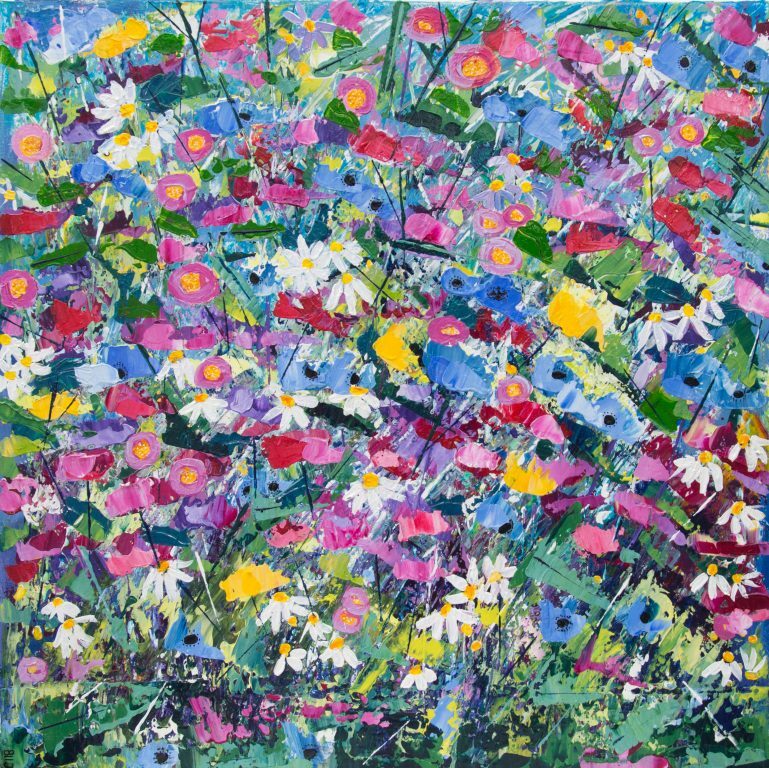 The paintings are eye catching ‘glimpses’ captured in the moment when I first see an attractive grouping of plants. Buyers describe them as ‘Happy’ paintings which make them smile of the dullest of days! Entering the village via Frampton, turn right just before Chalk & Cheese pub into Bull Lane. Taking the last right into Stanstead Road, towards the end of the road 49 is on the left, with studio sign.